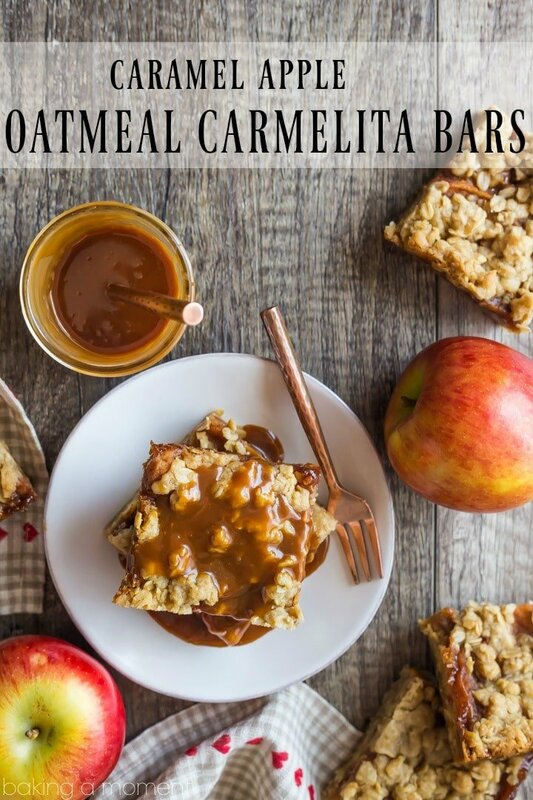 Caramel Apple Oatmeal Carmelita Bars: the beloved classic recipe gets a delicious makeover! You’ll love the buttery caramel, cinnamon-spiced apples and chewy oatmeal cookie crust. A perfect fall dessert! Do you guys remember Oatmeal Carmelitas? There was a time when they were a go-to recipe for me. When I was dating my husband, any time there was a get-together, a barbecue, game-day party, whatever, I would bake up a batch of oatmeal carmelitas and everybody would beg for the recipe. There’s just something about those layered bars that’s so irresistible. Is it the chewy oatmeal cookie? Or the melty chocolate? Probably the gooey caramel. Whichever it is, I still love them to this day. So much so, that I really wanted to share my own unique spin with all of you. Behold: Caramel Apple Oatmeal Carmelita Bars! 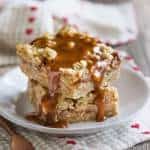 I am all about apple desserts at this time of year, especially when there’s caramel involved! If you haven’t tried my Simply Perfect Salted Caramel Sauce yet, don’t waste another second. You need a jar of this immediately! It’s pretty easy to make, in just about 10 or 15 minutes. I’ve made it so many times I could practically do it in my sleep. I adore the rich and buttery flavor, and that hint of salt just rounds it all out in the most addictive way. 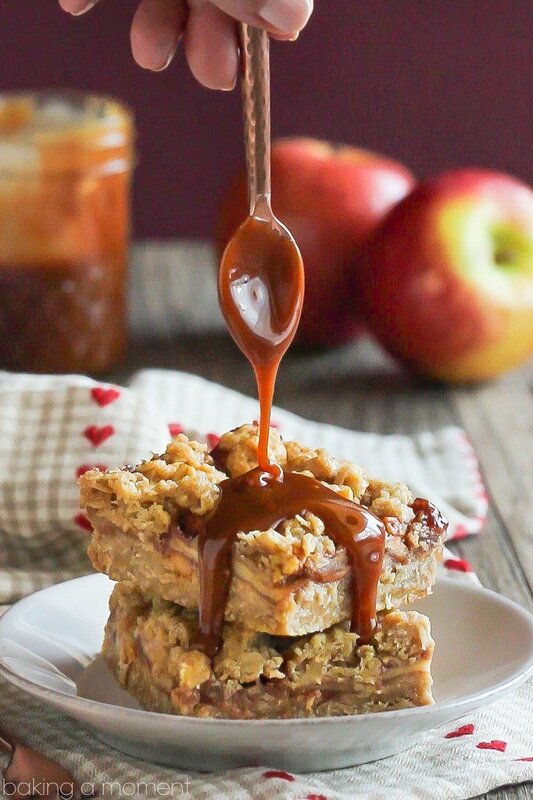 It’s fan-freakin’-tastic in these caramel apple oatmeal carmelita bars. 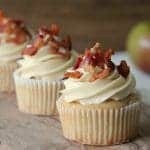 Along with the soft, juicy apples, and a little cinnamon… a match made in heaven! The chewy oatmeal cookie crust is the perfect compliment. So much fall goodness! I really love using Granny Smith apples when I bake, because they hold their shape so well without getting mushy. 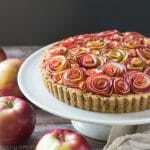 Also they’re a little more tart which, after even after cooking, means there’s still plenty of apple flavor. They’re pretty easy to find all year ’round, which is another bonus. But if you have another favorite, by all means use it! 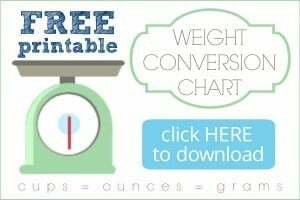 You really can’t go wrong with this recipe! 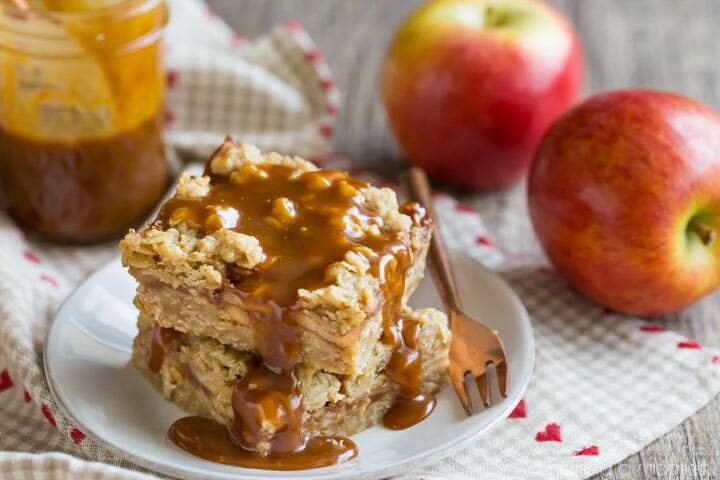 Caramel Apple Oatmeal Carmelita Bars: the beloved classic recipe gets a delicious makeover! You'll love the buttery caramel, cinnamon-spiced apples and chewy oatmeal cookie crust. 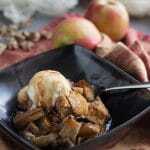 A perfect fall dessert! Melt the butter in a large skillet, over medium heat. Add the apples, sugar, cinnamon, and salt. Cook, stirring occasionally, until the apples have softened slightly (about 5 to 10 minutes). Mist a 9-inch x 9-inch square baking pan with non-stick spray, and line it with parchment paper, allowing the excess to drape over the sides of the pan. Place the flour, oats, brown sugar, baking soda, and salt in a large mixing bowl and stir to combine. Cut the butter into half-inch pieces, and use a pastry blender or clean hands to combine it with the dry ingredients (the mixture should be very crumbly, like streusel). Press about 2/3 of the mixture into the bottom of the prepared pan. Top with the cooked and cooled apple filling, and drizzle with caramel sauce. Sprinkle the remaining crumb mixture over the top, leaving a few spaces for the caramel apple filling to peek through. Bake for 30 to 35 minutes, or until golden brown around the edges. Cool completely, then cut into bars. Garnish with more salted caramel sauce, if desired. 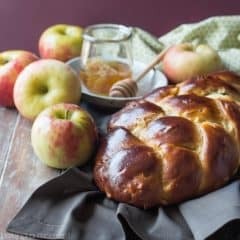 I’m not a blog follower and, on the occasions I have looked at blogs, I haven’t been inspired; so I am not sure how I came upon you, but your recipe photos are impressive and the food is equally so. Every week I look forward to what new treat you will offer. That is so nice to hear! I can’t thank you enough Carolyn, you truly made my day. Thanks so much for taking the time to brighten my spirits with your sweet message. I’m so happy and proud to have you as a reader! Oh my gosh THAT CARAMEL!!! Love your spin on a classic and YAY for fall baking!! Perfect recipe for fall Allie! Any dessert with extra caramel gets an A+ in my book! 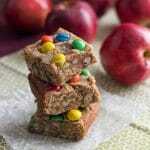 Wow…..made these last night and tasted them this morning, apples, oatmeal……breakfast treat right? Delicious! Very rich, unbelievable caramel…..perfect! These are SO perfect for fall! YUM! Oh my goodness! Now these are all the fall flavors I love! Oh these are going to be made soon!! I have a fall event to go to this weekend and you better believe these babies are coming with! Swooning over these! 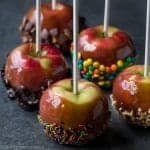 They’re the perfect fall treat!